Sign up now to receive the best deals in Key West! SIGN UP NOW! Start planning your trip today! Search for flights, hotels and car rentals to find the best deals! You can even do a combo package! Click the icons below to get started! Save over $1200 on your next Key West Vacation! BUY NOW! 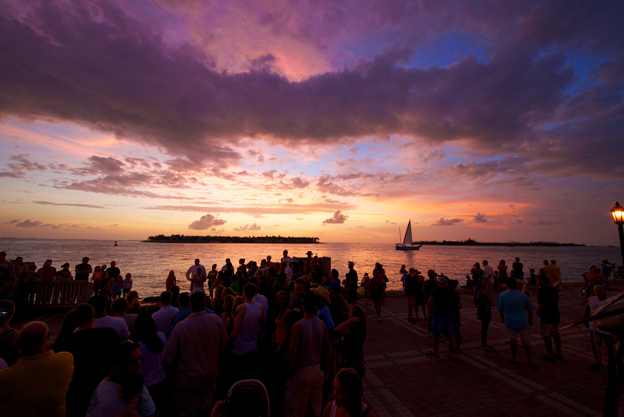 If you’re planning on taking a trip to Key West, don’t worry, there’s plenty to do! So much, actually, that it’s sometimes hard to figure out where to start! Where do you stay? What restaurants do you try? What activities you try to squeeze in while you’re there? Custom Rum? We love it already! The hotel has an exclusive with First Legal Rum Distillery. We’re obsessed with Rum Row, the lively pool, bar, and lounge scene. With their Barkbox Pet-Friendly Hotel Partnership, you can bring your furry friends with you! It’s the newbie on the island, the only new construction hotel in Old Town since the 1990’s! Think classic Florida Keys meets understated modern glamour, right on the waterfront of Key West’s historic seaport. Care for some yoga? Complimentary poolside yoga for guests on Saturdays from 9am -10am. Located on prime real estate at Zero Duval Street, in the heart of where it all happens! SpaTerre is one of the best spas on the island and the perfect place to pamper yourself. We’d start with a sacred stone massage. The hotel overlooks the Sunset Pier and its famous daily Sunset Celebration so there’s never an excuse to miss out on the fun. This is Key West’s original hotel, built in 1924. It’s now fully renovated. You’ll truly immerse yourself in this tropical island oasis with Koi ponds and waterscapes throughout the property. Absolutely gorgeous! No clock/radios in the rooms . . . by design. Hellooooo beauty sleep! Guest can enjoy a private white sand beach, while being just steps from Duval street and a few blocks from Old Town Key West. The hotel was the winter home of Truman Capote and Tennessee Williams. How’s that for some neat history? Yea, that’s us! We provide a world-famous nightly Sunset Celebration like nowhere on Earth. Care to join us? You can check out local vendors, food carts, and fresh ocean views. You’ll love it! Did somebody say, shopping?! Lots of it, friends. It was the winter home of President Harry S. Truman, and also used by presidents William Taft, Franklin Roosevelt, Dwight Eisenhower, John F Kennedy, Jimmy Carter, and Bill Clinton. It’s known for its beautiful gardens and timeless decor. Great photo op. A wonderfully preserved example of Key West architecture from the 1800’s. With birding, camping, snorkeling, and a historic tour of Fort Jefferson, there’s something for everyone at this stunning national park. So much exploring to do! Vibrant coral reefs, nesting sea turtles, unique tropical fish and underwater wonders make for a truly unforgettable experience. Just 70 miles from Key West, you can get there by seaplane or ferry, making it a gorgeous day-trip you don’t want to miss. 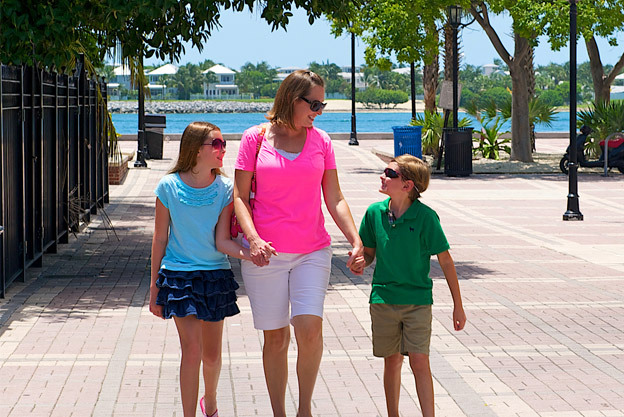 It’s the best way to see everything on your Key West bucket list! Hop on and off at any of the stops without having to wait too long for the next trolley! Their easy-to-use mobile-friendly map will help you maximize your travel experience so you have all the info right in your pocket. Exactly where you want to be for the best nightlife and people watching! 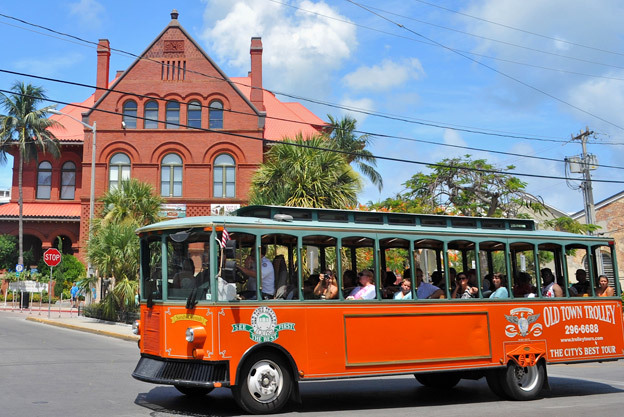 Although it’s not much more than a mile long, the city comes to life on Duval with restaurants, shops, and world famous pubs and attractions. Time for a Duval Crawl! 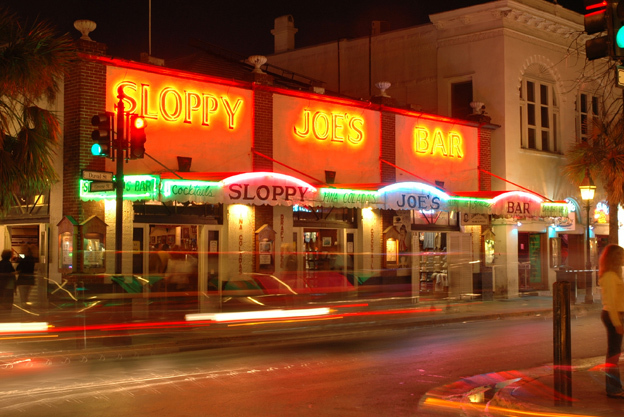 Check out the world-famous bar Sloppy Joe’s! A hidden gem on the island, the unfinished Civil War era fort is surrounded by beautiful botanical gardens, maintained by the Key West Garden Club. They’ve done an awesome job! It’s a great place to take a stroll and relax after a full day of adventuring. And to make things even better…it’s FREE! It’s the home of one of America’s most honored and respected Nobel-Prize winning authors. Ever heard of The Old Man And The Sea? For the cat lovers reading this, more than forty cats live on the property! No, you can’t take them home with you. Pick up some of Ernest Hemingway’s books at the bookstore and gift shop. Perfect for poolside reading! You’ll find the freshest seafood in town at five great waterfront restaurants along the Harborwalk. Want to catch your OWN dinner? Book a fishing charter and spend the day on the water. Choose from watersports of every kind, and a variety of trips to the coral reef aboard catamarans and sailboats. How does a Fury Dolphin Watch trip sound? The best stress-reliever in town, this tropical paradise is filled with thousands of butterflies! It’s the perfect rainy-day activity and you can go back as many times as you’d like throughout the day. Pretty much the best way to relax and appreciate nature after a few non-stop energy-filled days in Key West. A great way to learn about the Florida Keys and the environment while breaking up the midday heat! 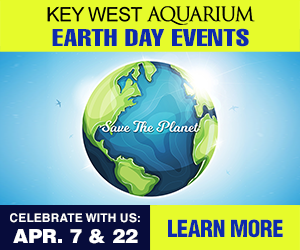 The center’s Living Reef exhibit includes a 2,500-gallon reef tank with lots of living corals and tropical fish. Did we mention it’s free?! 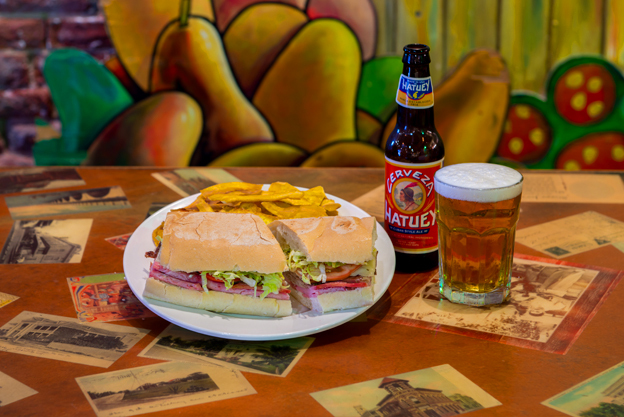 Authentic, delicious Cuban food and cafecito, the fuel you need for the rest of your Key West adventure! It’s been open for over 30 years, since 1985. You’ve got to be good to stay open that long. You can enjoy live music outside as the sun sets while sipping on a mojito (or 5). Food this good can’t possibly come out of an Airstream, but it does. Our favorite? YUM YUM SHRIMP (mango ginger habanero glazed shrimp, served cayo or korean style) You hungry yet? The grill was featured by Guy Fieri on Diners, Drive-Ins, and Dives. It’s the PERFECT breakfast spot (served daily til 2), with lush tropical foliage and delicious food! Yes, Richard’s Very Good Pancakes are very good, and made from scratch. The mini key lime pies are amazing! Check them out on Instagram. Tapas and wine! Perfect for sharing (or not). Daily happy hour from 3-6pm did somebody say sangria? Diverse menu with something for everyone, and a great way to try new interesting dishes. Saturday and Sunday Brunch includes vegetarian, vegan and gluten free options. That’s one Key West decision you don’t have to feel guilty about! Enjoy housemade juices & fresh squeezed lemonade…veggies never tasted this good, we swear. 4 Words: Vegan Key Lime Cheesecake. Copyright © 2019 Mallory Square. All rights reserved. Your email and personal information will never be shared with anyone.